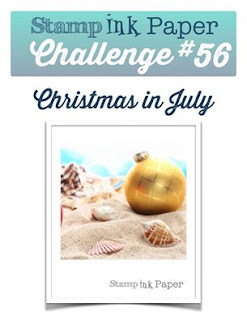 Tina's Crop Shop: SIP Challenge #56 Christmas in July! I had a couple of ideas floating around in my brain but here's where they ended up.. I knew I wanted to use the Window Framelit so I decided to use the Wonderous Wreath stamp set and Wonderful Wreath framelits as well. I can tell you that I have still after a year NOT mastered stamping and die cutting that wreath out correctly. I cut leaves off that shouldn't have been cut off, etc. I'm trying to distract you with the Gina Marie bird dies! LOL All that being said.. I still love the card. My hubby and I love birds and especially cardinals so I had to cute the birds out in Red. I know cardinals have black on them too but I really felt like I could be a bit whimsical with this one! Here's how I finished up the inside.. 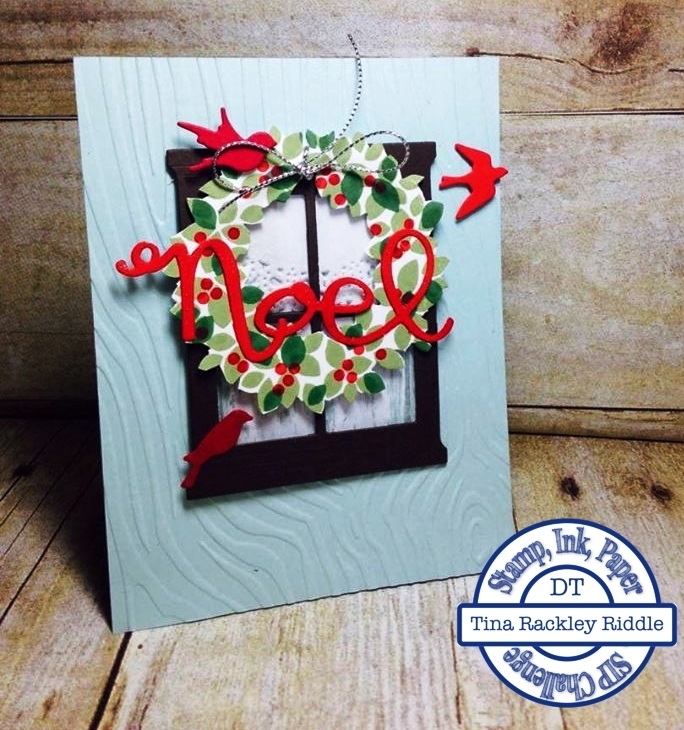 The sentiments on the inside are also from the Wonderous Wreath Stamp Set. 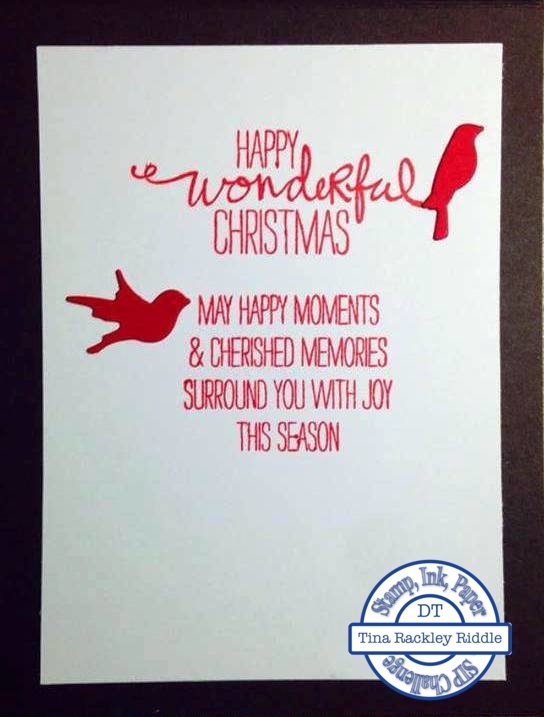 As you can see I had to use two more of the adorable little bird die cuts on the inside!